Wardrobe sketch. Clothes on the hangers. 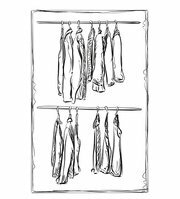 Hand drawn wardrobe sketch. Mans shirt.